HQ Power Supply for Amiga CD32 console. This power supply offers a 300% of performance compared with the standard CD32 power supply manufactured by Commodore. Perfect to replace the old PSU and highly recommend for CD32 consoles with additional hardware enhancements as accelerators, hard disks, expansions, extra floppy disk, etc. 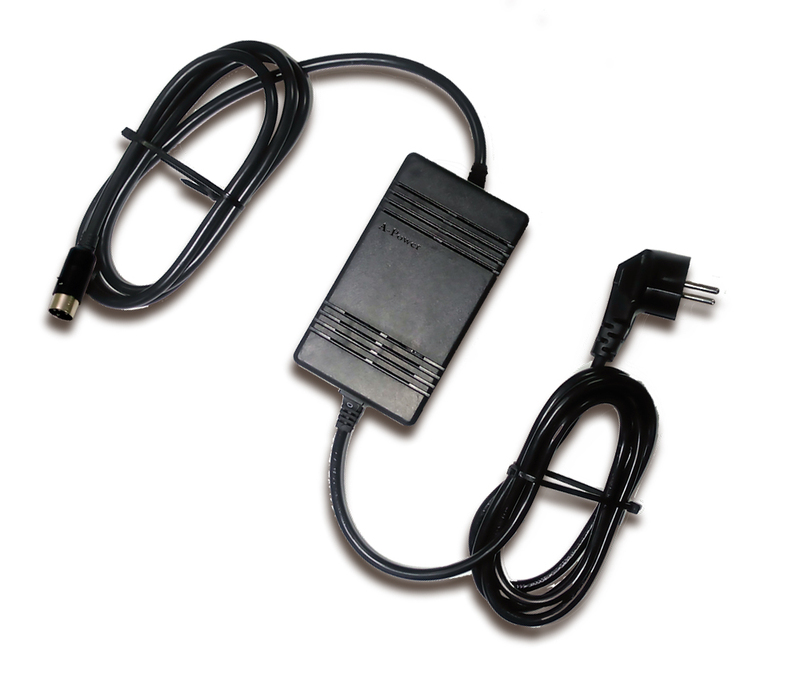 The A-Power PSU version compatible with Amiga 500/600/1200 computers is available here. A-Power CD32. Power supply for Amiga CD32 console. With an extremely low leakage current, A-Power CD32 offers 55W of power, more than three times the power of the standard CD32 power supply manufactured by Commodore (17W). It accepts 90~264VAC input voltage and it is compatible with EU/UK/USA/Australian and Japan current standards (by chosing the right option). 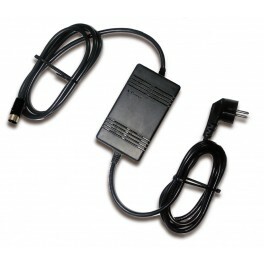 The A-Power PSU version compatible with Amiga 500/600/1200 computers is available here. • Input: 110/230V (universal: from 90V to 264V AC). • Output (nominal): 5V/4.0A, 12V/2.0A. • Output (max peak, 10 seconds): 5V/4.4A, 12V/2.2A. • AC power cable length: 1,5m. • Amiga power cable length: 1.5m. • Internal PSU standards: CE, RoHs, UL60950-1/EC60950-1/EN60950-1 ITE safety approved, ANSI/AAMI ES60601-1 and IEC/EN60601-1. • Designed for Amiga CD32 console: do not connect to any other device!. • Risk of electrical shock and energy hazard. All failure should be examined by a qualified technician. Please do not remove the case of the power supply by yourself! • Do not cover upper and lower air vents! • Please do not install the units in places with high moisture or near the water. • Please do not install the units in places with high ambient temperature or near fire source. • Output current and output wattage must not exceed the rated values on specifications.